Here at VdoCipher we are in awe of how over its history Netflix has consistently innovated in streaming video. Over the history of Netflix, the company has maintained a content catalogue which would be delivered at first via mail. When the technology infrastructure became available Netflix pioneered video technology, which revolutionised home-based video entertainment. The technical decisions that Netflix takes often serve as guides for VdoCipher’s course of action, while the long-term vision that the company has executed in its two decades has helped it standout from competition. Netflix offers a fantastic glimpse into how long-term strategy and decision-making ensured the company crested the wave of vastly increased internet connectivity in recent years. In this first edition of our multi-part blog series on the streaming video giant, we take you back to how Netflix has evolved over the two decades of its existence. Netflix started as a personalized web-based movie recommendation and rental system, transforming over the years into a streaming video giant. The management’s commitment to digital content has enabled Netflix to emerge as the biggest name in the streaming video industry, and more importantly, to stay at the top of its game as it expands globally and seeks to capture increasing audiences internationally. Founded in 1998 by Reed Hastings and Marc Randolph, the story of Netflix’s founding must be situated amidst the dot com bubble. This was a time when online businesses would sell consumer goods directly via their dot com domains. Amidst the excitement around internet-enabled delivery of services and goods, companies like Pets.com, WebVan and Kozmo.com offering to sell goods directly to consumers raised funding from venture capital firms. However owing to flawed business models which meant losses at each sale, these companies burned cash from the outset.The dot com bubble crashed in due time. In September 1999 Reed Hastings implemented a subscription-based business model. Netflix, although unprofitable until the mid-2000s, survived the dot com bubble. The company offered DVDs via US Postal Service, and had put up their catalogue online. Relying on US Postal Service’s delivery meant that Netflix could focus on their core offerings of a curated and personalized catalogue. Netflix’s unique offering was its web-based catalogue of films. Instead of having storefronts, the primary means by which customers could access the catalogue was online. This meant that every user in every part of the country could have access to the full library that Netflix possessed, rather than being limited to the titles the nearest stores carried. This also meant that users could shop around for the films they wanted to watch in the leisure of their homes. The company at the time struggled with two fundamental problems in their business model. One was that because the DVD was sent via mail, it would take anything between one day to 4 days for the shipment to reach the subscriber. Even though people were likely to try Netflix, conversion to repeat rentals was low. Secondly, people would far more inclined to rent out the latest releases. For the company to break even on the cost of purchasing a DVD to rent-out, they would have to generate 15-20 rentals for each DVD. Two of the most important elements of Netflix’s business model emerged out of their responses to the problems. The company shifted to a recurring-revenue model – the subscription model – which improved second-time movie rental rates considerable. Customers were locked in to the platform, and were therefore much more likely to try rentals again. The company also created a queue, one in which users would select the movies they would like to watch next. This speeded up the process for subscribers to receive another DVD once they returned their first one. This also eliminated the point of late fees charges – the motivation for returning DVDs was to get another DVD to watch by mail. Netflix business model of subscriptions was a response to the problem of retaining customers. Secondly, to enable maximum utilization of their DVD content catalogue, the company created their movie recommendation system. Through Cinematch Netflix would recommend shows for their subscribers to watch. The point for this was to alleviate pressure for DVD rentals away from new releases, to a more uniform renting out of their content library. This solution has over the years become considerably sophisticated, and drives how customers experience Netflix and how the company makes decisions when acquiring new content. Netflix’s response to these problems was reflective of how the management was focused on building a sustainable business model, as opposed to growing up too fast. Instead of focusing on building a huge content library the company instead optimized their DVD-on-mail solution for their existing library. This business decision was what helped the company survive the crash that followed the dot com bubble. Netlfix’s business model of subscriptions was strengthened in February 2000 when Netflix started their Unlimited Movie Rental programme. This ‘All-You-Can-Watch’ subscription model, at a fee of $19.95 per month, offered customers unlimited movie rentals in a month, receiving upto 4 DVDs at a time. With a view towards maintain subscriber goodwill and loyalty, the company eliminated all per-movie, shipping and late-fee charges. Netflix, under the direction of technical head Neil Hunt, had by then also implemented their content recommendation system – Cinematch. Netflix’s content curation was headed by Ted Sarandos, Chief Content Officer. Sarandos joined in 2000, and had prior experience in movie and television distribution. He has managed Netflix’s content offerings over the years, initially curating and providing inputs for the movie recommendation system, and is now a major cog in the wheel of the to the company’s original content – Netflix Originals – initiative. Netflix’s business model and vision in the movie-rental industry was considerably different from that of their chief competitior – Blockbuster. The chief of retail video rental chain Blockbuster, John Antioco, on the other hand believed that video rental was a much more spontaneous process, and that receiving copies in-store and watching immediately was prefered by customers over waiting for days for the DVD on mail. Amidst this new rental programme, Netflix was losing money. Reed Hastings met with Blockbuster CEO John Antioco in Dallas, proposing to sell a 49% stake in Netflix to Blockbuster for $50 million and in exchange for running Blockbuster’s brand online – Blockbuster.com, while complementing Blockbuster’s offline DVD rental business. However Blockbuster passed on the deal, believing that Netflix, which was not profitable at the time, did not add value to their own business. It was this inability to see the long-term view, which Netflix was committed to, that led to the contrasting fortunes the two companies faced. Netflix presented a considerable disruption to the business model of retail video rental chains. DVDs would be sent through the US Postal Service. Unlike Blockbuster for which late-fee was often a significant portion of its revenues, Netflix completely eliminated the late fee, with the incentive for returning for the customer being access to another DVD. Netflix’s products key differences were their lack of stores, instead mailing DVDs ordered online, and secondly not charging late fees. It was Blockbuster’s inability to compete with Netflix on these two counts that ensured that the upstart beat the established company in the home-entertainment ecosystem. Netflix offered their initial public offering (IPO) on March 24, 2002, bringing in $82.5 million. At the time the company was not profitable, making a loss of $4 million on $30.5 million of revenues. This was, however, an improvement over the previous years figures of loss of $38.6 million on revenues of $75.9 million. 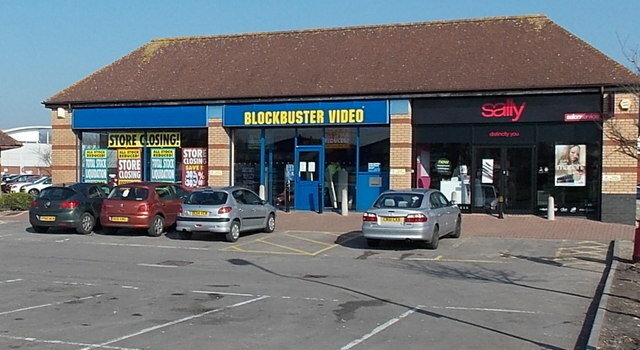 In 2004 Blockbuster finally entered into the online DVD rental space. They also removed their late fees charges. However these two changes increased costs and reduced revenues, leading to activist shareholders led by Carl Icahn pressuring the CEO against the strategy. Blockbuster’s online initiative lost momentum and the late-fees was reinstated. Blockbuster’s growth came and market dominance came about in a period when 80% of the company’s shares were held by Viacom. In 2004 Blockbuster decided to make an outlay of $200 million on Blockbuster online, and waived their late-fees charges which would have led to revenue decline of about $200 more. However Viacom exited the company when this strategy was adopted, believing the new path as not being aligned to its own vision. The challenge that the market dominating company was facing was being unable to reinvent its business model in the face of technological shifts. The agile startup Netflix on the other hand continued its growth, achieving growths in both revenues and subscribers, until finally in the 2010s the company expanded exponentially as streaming video technologies matured. John Antioco and executives at Blockbuster on the other hand faced resistance from the new shareholders after Viacom’s exit, who pressured the board to reinstate the late fees and drive down investment in the online business. It was the late entry to the online business, as well as the inability to get the backing of shareholders to implement a top-gear strategy for online video, that ultimately led to Blockbuster’s failure in the face of technological shifts. Netflix put further pressure on competition when they announced the launch of their streaming service in January 2007, as Watch Now. At the time the streaming service was expected to be of use only for power users with broadband internet connections, which were not all that common at the time. Users were required to have a 1 mbps internet connection to be able to stream movies, with a 3mbps connection required for streaming DVD-quality films. 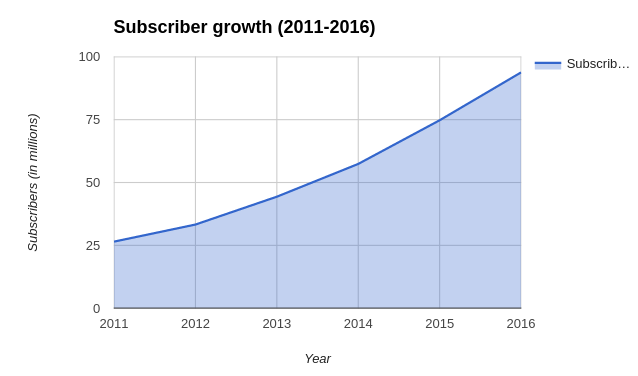 Subscribers under the $17.99 plan had access to 18 hours of streaming content. Video delivery was through a special browser applet that subscribers would have to install. By 2008 however Netflix had given access to unlimited video streaming for subscribers to its biggest plan . About 1,000 titles were available for streaming online, as opposed to 70,000 that Netflix offered in its DVD mail-to-order business. Although digital delivery was part of Reed Hastings’ strategy from inception, at the time of its launch the streaming service was provided as an add-on to the DVD subscriptions business. The primary motivation at the time was to slow down user churn. Q4 2006 results showed a net margin of 4.9%, with a net income of $12.7 million on $255 million of revenues. Although it needed to improve its margins, the company had also been seeing subscriber churn of more than 4% each quarter. Helped by the launch of streaming video, 2007 was the first time that Netflix generated upwards of $1 Billion in revenue. Over that year the company’s subscriber base grew 18%, revenues were up by 21% and net income was up by 36%, compared to the 2006 figures. The rise in revenue offset the increased costs from the online video initiative and strong competition helping the company generate higher profits. Netflix’s approach to starting its streaming video service was a gradual process. Launched in January 2007, the company did not roll out its services for all its users at once, instead gradually scaling up the service offerings, completing it for all customers in June 2007. In hindsight, seeing Netflix’s experimentation with its video delivery infrastructure in terms of optimizing for the cloud, this slow and steady approach definitely makes a lot more sense than offering a full fledged streaming service and then dealing with downtime and error rates. Prioritizing building a robust technical infrastructure has helped Netflix keep their first-mover advantage. Oftentimes the first-mover advantage is squandered by technology companies who have to make way for businesses that solve the problem more efficiently. Netflix, however, by relying on a solid content and technical team, has managed to keep its competitive advantage since the launch of its streaming video service. As the company started work towards building a streaming video solution, they also started to develop solutions for streaming video through hardware platforms. In 2004/05 the company was considering working with contract manufacturers on DVD disc drives with a video processor, which could download video content over the internet, and then stream it on TV. This model was similar to TiVo, which enabled TV owners to record TV shows on a disc. This was however shelved as competition with Blockbuster intensified and Netflix had to put resources into engaging in a pricing war with the market leader. In 2008 Netflix began work on a device for streaming videos. Netflix started work on developing a video player to connect to television, through which streaming video can be played over the internet. However Reed Hastings was concerned that potential partnerships with consumer electronic platforms would be negatively impacted by having their own platform. Roku was subsequently spun out as a separate company. For much of its history Netflix has had to face questions from cable TV providers whose content it would license, movie studios for movie licensing, as it presented a competition to their respective business models. Being perceived as a threat by the device manufacturers with which it was seeking to partner in the early stages of its streaming video business would hardly have severely limited its growth options. For this reason Netflix decided to spin out the Netflix Player team as a separate company. Shortly after the launch of Roku, Netflix announced partnership with Microsoft. As part of the partnership Netflix developed a native app for the game console Microsoft XBox 360. This gave access to XBox Live Gold Members access to Netflix on their television via their game console. For Netflix it meant that the market of 12 million XBox Live members was opened up, whereas for Microsoft could market their XBox for the million Netflix subscribers. The deal required Netflix to maintain the streaming video technology exclusively to XBox for an year. Subsequent to that Netflix would develop a Blu-ray disk based streaming video solution for Sony’s Playstation. The company would later go on to generalize the software platform they developed for DVD players to enable Netflix integration via Software Development Kits (SDKs). This also meant that as Smart TVs emerged and prevalence of streaming video over the internet developed over the years, Netflix was essentially prepared and could offer easy integrations. In August 2008 Netflix experienced a major database corruption, and could not ship out their DVDs for three days. This was the stimulus which led to Netflix opting to host their business logic on the cloud. This cloud migration would take place for the main part in the period of 2010-2011, and would only be completed in 2015, when the company finally setup its billing infrastructure, the most sensitive part of its business operation, on the cloud. The complete shift to the cloud was a pathbreaker in the tech industry. Netflix has over the years built a highly robust cloud infrastructure, which has enabled the company to scale up seamlessly as it has seen exponential growth and as it has expanded to 190+ countries. In 2008 Netflix agreed a deal with Cable TV channel Starz to broadcast their content library for $30 million annually. Starz’s library of 2500 movies and TV shows, including movies Disney and Sony Pictures, became available for streaming on Netflix. The deal was a hugely important step in the history of Netflix, as its streaming video service could now offer a wide range of quality content to their video streaming subscribers. Starz on the other hand, probably expecting the streaming video industry to remain a niche segment, did not expect the deal to cannibalize their own PayTV offerings. In 2011 Starz stopped its content licensing deal with Netflix, even after Netflix offers $300 million for licensing Starz’s library. Starz CEO went on record saying that he considered the deal a terrible mistake for Starz. Netflix soon started entering into content licensing deals with television studios. For television studios the income from Netflix’s streaming videos supplemented other geographical licensing deals. Television studios only make episodes of previous seasons available, in the belief that showing the episodes from the last aired/ currently airing season would through online video streaming services would lead to them losing users from the cable platforms, who were the primary monetization channel for television studios. Netflix would later turn this monetization scheme on its head when they started licensing original content, becoming a major revenue channel for television studios in their own right. As more people began tuning into Netflix, content providers found that Netflix helped build audiences for their shows. Cable networks making past seasons and episodes of their television series available on Netflix enabled content discovery. Customers discovering quality cable content on Netflix helped would later tune into the currently airing episodes of the series. This helped boost ratings for television shows such as Breaking Bad and Mad Men, both produced by AMC. 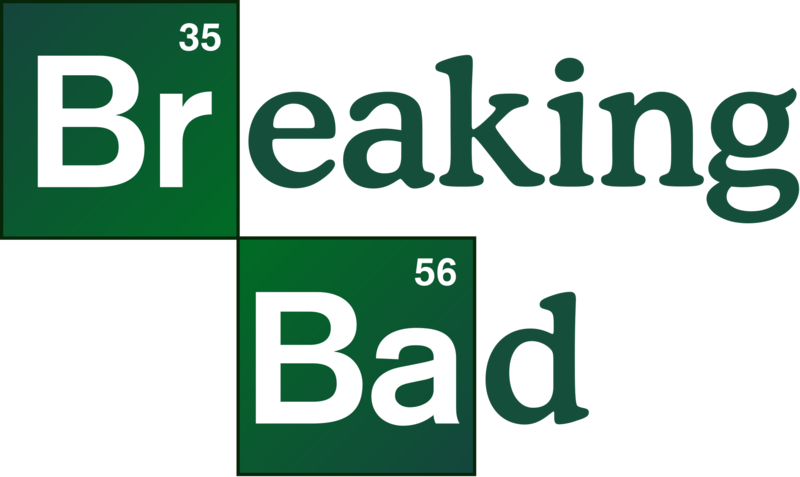 Ratings for Season 5 of Breaking Bad were more than double those of Season 1, and many times the ratings of Season 1, largely helped by the audience that Netflix generated for AMC. Netflix helped users catch up to currently broadcasting series, and enabled networks to focus on creating quality content with the knowledge that even a small initial following would convert soon enough to larger audiences. For television studios, apart from the first run of the series on television, revenues are generated from syndicating TV series to other networks after the end of the season or the series. In this environment Netflix comes in as an added source of revenue for TV studios, besides, as seen in the case of Breaking Bad and Mad Men, Netflix has also enabled broader audiences for quality content through what is labelled as “catch-up TV”. In 2011, initiating their strategy to differentiate themselves from other services, Netflix started outlaying budget for original programming, with their first original series House of Cards premiering in 2013. Netflix Originals became a critical component of the Netflix Business Model. The original content initiative would enable the company to become less dependent on movie and television studios, giving it leverage over its supply chain of content providers, while helping build a loyal audience. Netflix’s original initiatives would be copied by other OTT providers as well, with companies like Amazon Prime Instant Video and India based Hotstar all investing on originals to broaden their appeal. Netflix’s decision as to which television shows to license is designed by their content recommendation systems. Their analytics team takes in various factors, including the popularity of the genre, how popular an actor/ director is, and even computing responses to similar content. Because Netflix’s business model does not rely on immediate ticket sales the criteria for a successful series is determined by whether the subscribers on Netflix platform watch the series, and whether the series can inspire a loyal following. The company’s first original license was for House of Cards. The story goes that Netflix ran data on the number of people who rented out the DVD for the UK Television series House of Cards and who watched political dramas such as The West Wing. They likewise computed the numbers who’d shown preference for the films of David Fincher, and who liked Kevin Spacey films. After finding that a significant percentage of their subscribers are likely to watch such a show, Netflix commissioned two seasons of the series, at a total cost of $100 million. This gamble was spearheaded by content head Ted Sarandos, whose reasoning was that the network effects of Netflix would generate sufficient publicity and viewing figures if the show generated even a small loyal following. 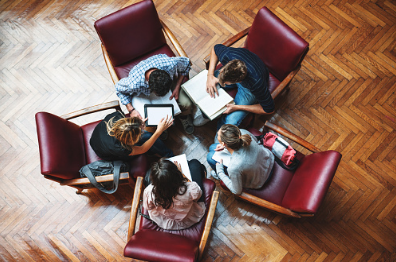 The idea of creating content for different interest groups, where interest is defined in a much broader and cross-category way, is what drives Netflix’s content strategy. The company entered into a six-film deal with Adam Sandler in 2015. The first film under the deal, The Ridiculuous 8 received generally scathing reviews, and yet Sarandos contends that the film is valuable for Netflix’s subscribers as a large number of people are watching it on their platform. The streaming video provider has definitely seen some failures in recent years – Marco Polo and Get Down being two prominent series that could not achieve a critical mass of followers, and therefore being cancelled. The original content strategy is also important for the company as it expands globally, and as it seeks to penetrate international markets it needs to market content suitable for local tastes. In 2011, in a move aimed at generating revenues for further investment into their video catalog, Netflix made major changes to their business model. The company separated memberships for DVD rental and online streaming businesses, getting users to buy different subscriptions. Buying both subscriptions would increase the cost for customer by $6 per month, from $10 for the single membership which included both DVD-on-mail and Streaming video, to $8 each for the two services. Netflix also proposed spinning off the DVD business as a separate entity named Qwikster. As a result of this abrupt price hike, 800,000 left the service, forcing Netflix to partially reverse the decision. Although the price hike remained, Netflix did not spin off the DVD company as a separate entity. Reed Hastings reiterated his belief that the future of home entertainment was in streaming video online, but regretted the communication gap with their customers. Although the move was something of a PR disaster, it was eventually only a blip as the company kicked off its exponential growth. The price rise also helped boost the company’s revenues, putting it in a strong financial position. Netflix’s tech innovations have ensured that even though the company contributes to over 30% of peak traffic in North America, its impact on the broader internet infrastructure is minimal. Innovations in video encoding and content delivery have ensured that the company has managed to minimize its footprint, meaning that customers continue to get the best possible experience while not impacting other internet services. In January 2016 Netflix accounted for 37.1% of traffic in North America’s fixed networks. This share declined to 35.2% in June 2016, which can be attributed to encoding efficiencies that Netflix implemented. Per-title encoding optimization replaced a more general encoding criteria. This ensured that lower bitrates were used for better quality video encoding. For some titles, these optimizations would yield a 20% reduction in bitrates, while achieving a better viewer experience. The company has innovated in video delivery through the internet by tying up with ISPs to ensure minimal data transfer over the backbone of the internet, so that much of the traffic is routed internally through the ISPs only. Towards this the company’s Open Connect CDN connects through settlement-free peering with most ISPs. The company has also offered to locally cache content at ISPs, through their Open Connect Appliances, which would ensure that streaming traffic would only be local to the ISP. The business logic of customer data and content catalogue would meanwhile be on the company’s cloud services which are installed on Amazon Web Services. Netflix’s cloud operations run out of three different AWS regions – Oregon (US-west-2), North Virginia (US-east-1) and North California (US-west-1), which ensures that the company’s services remain uninterrupted even when entire AWS regions go down. The company has achieved its targetted 99.99% uptime since its move to the AWS cloud. In January 2016 Netflix launched across the globe. The company’s streaming video service is now accessible in 190 countries, with the only major exception being China, with their cloud solutions scaling up and responding to the demands of global internet requirements. There has been much internet-enabled transformation in the world that has enabled Netflix’s emergence. The company is a part of the tech industry’s FANGs, an acronym coined by US finance expert Jim Cramer in 2013, FANGs – Facebook, Amazon, Netflix and Google. Although a relative minnow when compared to FB, Amazon and Google (now Alphabet), the acronym reaffirms how Netflix has over the two decades of its history captured a significant mindshare amongst the internet populaiton. These tech companies have gained the most as the internet has taken an increasingly more significant role in our lives. Mobile phones have made internet access ubiquitous, meaning that for the youngest generations internet now informs global culture much more than other media. Technological behemoths such as Google and Amazon have enabled technical infrastructure in the form of Platform-as-a-service (PaaS) that anybody can use. By abstracting away the technological complexities and leaving more capabilities in the hands of software developers, these companies have enabled the development of technological infrastructure to develop consumer-facing products. This history of Netflix would have been considerably different were it not for the maturing technical infrastructure and internet popularity. Amidst a decline in market sentiments around tech companies in 2016, Netflix was one of the very few companies to have a steady stock. This signifies the confidence that investors have over the revenue-model of Netflix. Throughout the history of Netflix the company has been a step ahead of market trends – their decisions towards online catalogue of films, then offering an unlimited movie subscription model, then inaugurating streaming video, and finally creating their niche by investing in original content have contributed to the dominant position the company finds themselves in. In the early 2010s, at a point when its technology no longer served as an effective enough competitive advantage, Netflix took on the incumbent cable television industry by investing in high-quality content. As it reaches saturation in the US market, Netflix needs to expand internationally. Finding the right content formula for international audiences is the challenge facing Netflix.